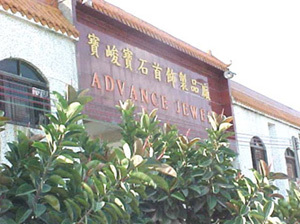 Advance Jewel Group, founded in 1984, is a specialized manufacturer in gemstone, crafts, and jewelry. During the years of research and development and endless upgrading of our production systems and services, Advance Jewel Group has earned the highest acknowledgement from the clients all over the world. Currently, Advance Jewel Group has the offices, showroom, and factory located in Hong Kong, Taiwan, and China. Our Founder, Mr. William Chan, has been dominating in the gemstone industry since 1974. With years of hard works and focus in the gemstone industry, Mr. Chan and Advance Jewel Group have earned high reputation and incredible image worldwide. Advance Jewel Group core competences are innovative, trendy, quality, and excellent services. With the professional Advance Jewel teams around Hong Kong, Taiwan, and China, it is our guarantee to bring you 100% satisfaction services.